I’m traveling by bus with a group of quilters to Paducah this Saturday. I cannot wait. I have never been to the quilt show in Paducah and am looking forward to it SO MUCH!!! To top it off, I have a quilt hanging in the show there! I’m so excited to see it hanging there amongst the jaw-dropping quilts I have seen that are going to be there. Another quilter in my area, Thelma, has two quilts hanging there. 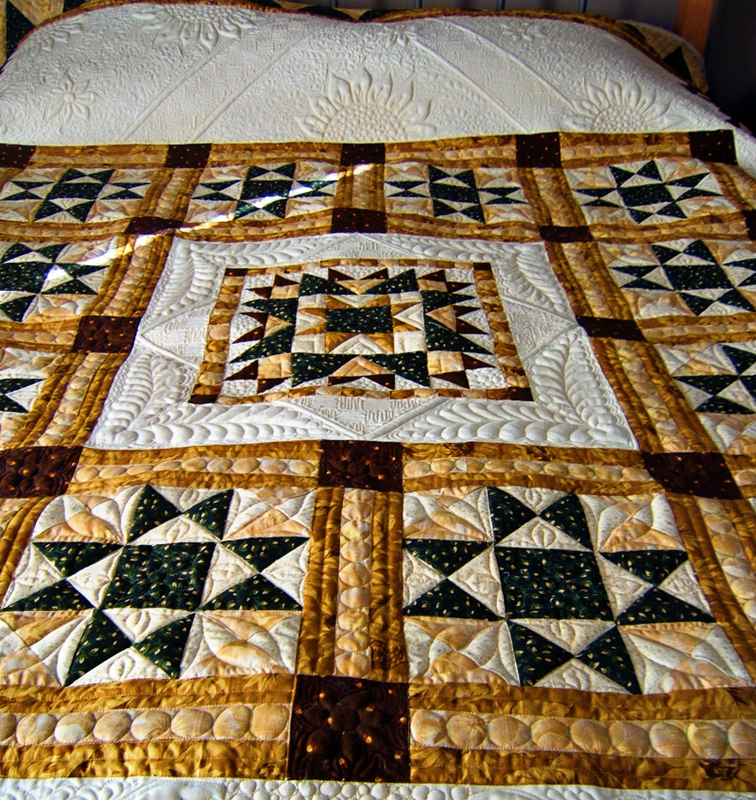 I remember her quilt from Judi Madsen’s blog. I drooled all over that quilt online and I’m thrilled to be able to see it in person. If you’re going to Paducah, look for my quilt, Sunflower Stars #932. I’ll be there with you! I went to the Dr., and got medicine for Bronchitis! I’m much better and can’t wait to go too!!! 🙂 Paducah here we come! I’m so glad you’re feeling better. See you Friday!